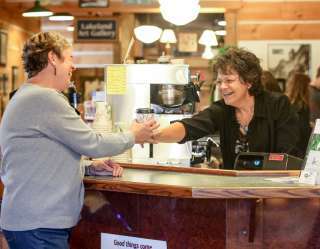 Company parties, employee incentives, holidays, thank you or a special occasion, all are perfect reasons to purchase Chamber Checks through the Minocqua Area Chamber of Commerce. Chamber Checks encourage people to shop locally with area businesses and are redeemable like a personal check would be. To purchase Chamber Checks call the chamber or stop in. They can be mailed to you or the recipient. Contact us at 715-356-5266 or email macc@minocqua.org with questions. Checks are not redeemable for cash and should be used for their full value. Chamber Checks are valid checks that should be endorsed by on the back by the business accepting them and deposited just like any other check. Chamber Checks may be purchased at the Minocqua Area Chamber of Commerce with in any increment $10 or greater. We will make every effort to complete each order on the day of request. Check requests may also be phoned in, but payment must be received before checks are processed.